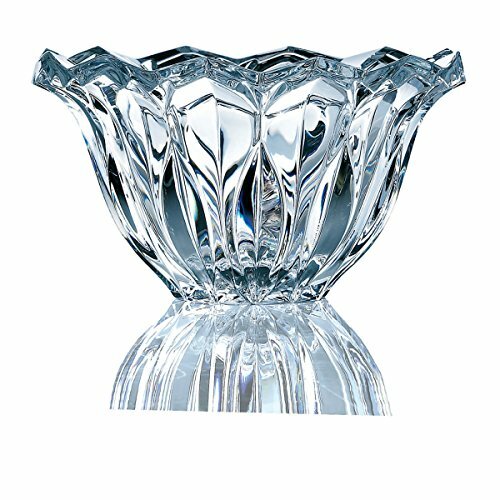 Celebrations by Mikasa Blossom Crystal Decorative Bowl, 10-Inch by Mikasa at Wow In The Details. MPN: SW348-625. Hurry! Limited time offer. Offer valid only while supplies last. The Celebrations by Mikasa Blossom collection of lead crystal decorative accessories provides both traditional and contemporary décor to your home. The Celebrations by Mikasa Blossom collection of lead crystal decorative accessories provides both traditional and contemporary décor to your home. Each distinct piece of the collection suggests high quality, intricate detail and brilliant design. This gorgeous crystal bowl feature flowing sculpted edging that depicts a delicate flower blooming in the spring. Comes gift boxed. Hand wash. Crystal bowl is 10 inch diameter.